We’d love your help. Let us know what’s wrong with this preview of The Pan-Angles by Sinclair Kennedy. 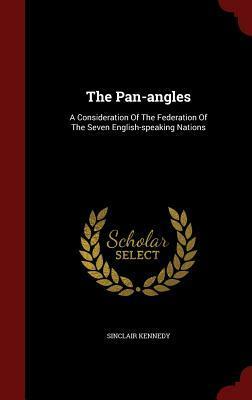 To ask other readers questions about The Pan-Angles, please sign up. The author proposes a federation of Australia, Canada, Great Britain, Newfoundland, New Zealand and South Africa due to the kingship of the Anglo-Saxon peoples because of the threat of Non-Anglo Saxon empires like Russia, France and Germany. He considers the Anglo-Saxon system of government and the emphasis on individualism as typical Anglo-Saxon. American proponent of forming a federation of the Australia, Canada, Great Britain, Newfoundland, New Zealand, and South Africa. Sinclair graduated from Harvard College in 1897 with a Bachelor of Arts degree and in 1906 from Harvard Law School. He was a member of the Union and University Clubs, Boston, and the Harvard Club of New York.